Request a quote and get $35 coupon! Discount Moving is dedicated to making your transition to your new home or office as quick and stress-free as possible. 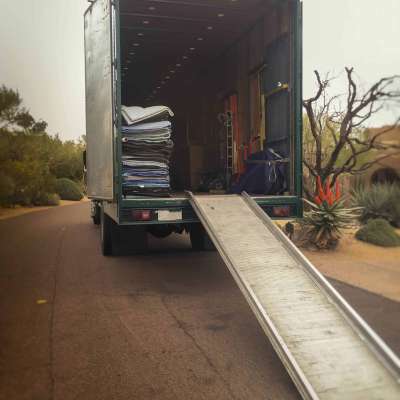 We handle every aspect from packing to loading to unboxing, or any task in between. You’re in control – we just do the heavy lifting. Let’s get moving. Avoid waiting to the last minute to schedule your move. Even if you don’t have an exact move date yet, it’s best to line up a moving company as soon as possible. Unplug your refrigerator the day prior to the move. Allowing your refrigerator to defrost overnight can help you avoid having a wet, stinky mess on moving day. Removing the drawers will make your dresser lighter and easier to carry. You can wrap your drawer in Press and Seal wrap or plastic wrap to avoid having to empty them. Things like toilet tissue, trash bags, snacks, or other essentials should be kept in a clear, easy to recognize box that will make it easy to get to when you need them. Pack a bag with a few changes of clothes, toothbrush, toiletries, and other personal items for easy access when you arrive. Take the stress out of moving! Get your quote today!